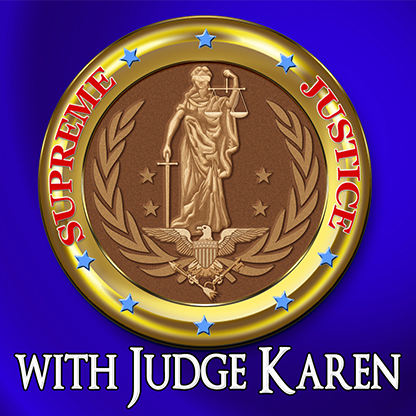 Best known for her sassy personality and bold judgments, Judge Karen Mills-Francis is now presiding over “Supreme Justice with Judge Karen.” Judge Karen boasts over 13 years of legal experience and is a successful published author. As a seasoned legal veteran of the courtroom, Judge Karen isn’t afraid to put litigants in their place. She’s quick to protect the unprotected and rationalize the irrational, all while using her quick wit to break the tension. Judge Karen’s captivating style and unwavering dedication to justice makes “Supreme Justice with Judge Karen” a must-see. “Supreme Justice With Judge Karen” is soaring in its second season, particularly in major cities (L.A., Philadelphia, Chicago). Among women ages 25-54 in Nielsen markets, Judge Karen’s viewership has grown 76%.